After making the switch from Prodrive to Nissan as a co-driver, Russell Ingall believes Simona De Silvestro will be more comfortable in the Altima at Bathurst. 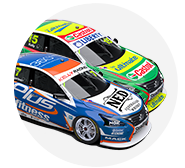 De Silvestro will return to pair with Renee Gracie as a wild card entry at the Supercheap Auto Bathurst 1000, but she will steer a different race car this time around, with Nissan Motorsport to run a fifth car at Mount Panorama this year. It was also confirmed that the Swiss female racer would join the Virgin Australia Supercars Championship for the next three years, with her 2017 team to be announced after Bathurst. Standing in for injured Chaz Mostert last year at the Gold Coast, Ingall has effectively gone from steering the Prodrive Ford Falcon FG X to racing the Nissan Altima this year as he pairs up with Rick Kelly – and the two-time Bathurst winner thinks De Silvestro will be happier behind the wheel this time around. “I think she’ll really like it … she will find the Altima better to drive,” Ingall said on tonight’s episode of Inside Supercars. “The Prodrive cars were very driver specific – you had to drive it a certain way. “I think she’ll jump in the Altima and, the power steering is very light on it, very nice; the brakes are nice on it; I think she’ll find the experience a lot easier to get along with. Ingall was impressed with De Silvestro’s performance last year at Mount Panorama, pointing out just how tough it is for newcomers to adjust to the unique Supercars. 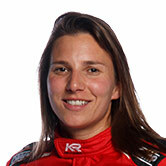 De Silvestro was up to speed quickly and despite Gracie slipping on oil and crashing early in last year’s Great Race, the ladies recorded a finishing position of 21st. “She did a great job at Bathurst – for any driver that hasn’t driven there before,” Ingall said. “We’ve seen plenty of European drivers come over and have found it really hard to tackle them. She did a really good job last year. Nissan Motorsport is piecing together the crew that will run the wildcard from its factory-based and GT staff, and is yet to finalise testing plans for the ladies. Team manager Scott Sinclair was not concerned about De Silvestro’s ability to jump behind the wheel and adapt to a different Supercar this year. “The thing about the Nissan, particularly at Bathurst, it’s really stable across the top of the mountain, so I think she’ll be quite comfortable in that,” Sinclair told supercars.com. “I’m not sure how the Prodrive car handles, but certainly from our perspective the car is quite balanced and nice to drive across the top of the mountain. “There’s obviously some areas we need to tidy up down the bottom, but that’s been undertaken across the main cars over the last 12 months, so I think she’ll find it quite comfortable. “The co-drivers jump in and find it’s a comfortable car to drive so I’m not too worried about that. While De Silvestro is expected to hit Australian shores at the end of the month, Nissan will most likely work with Gracie before then. “We’ll certainly look to get Renee in and sit in the car as soon as possible, really,” Sinclair said.